Stranded conductors 1.5mm CSA. with Red, Black, Orange and Blue inner insulation and an overall diameter of 8.8mm black PVC sheath. For strength, flexibility, reliability and current conduction, each of the two conductors is made from 27 pure copper strands at 0.25mm csa each. Will make robust rugged but very flexible PA speaker leads. 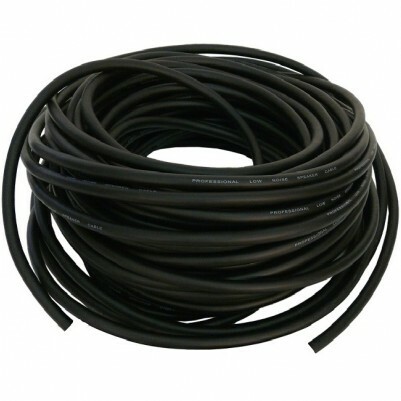 This is the price per drum of 100 metres of the cable. Please note we can supply different lengths of cable to suit your needs. Make the best out of your speakers or bring new life into old ones with our range of professional flexible low resistance speaker cable. Our carefully selected range makes it easy to find the right option for you.